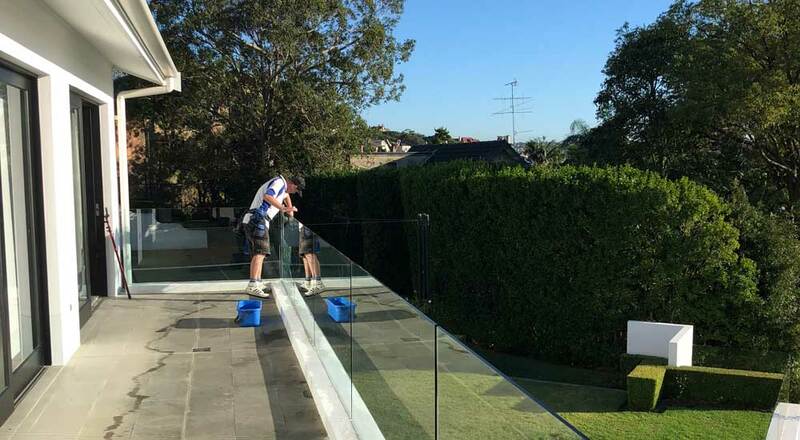 Clear View Window Cleaning won’t leave stains on your carpet or marks on you’re curtains, we are professional window cleaners from Bondi Beach, Eastern Suburbs Sydney and Northern Beaches excelling in all aspects from commercial to residential. Whether you’re selling your house, have just renovated or want to make sure your business stands out, clean windows can make a world of difference and more often than not, you don’t notice how dirty they were until they’re sparkling clean. Window cleaning is also a vital part of property maintenance, increasing the life of your frames, fly screens and the glass itself by removing corrosive materials such as pollution, dust, mould, sea spray and mineral deposits found in tap water. Clean windows also let in a lot more natural light therefore can change the mood of your entire house or office space. It can be hard however, and potentially dangerous, to reach windows which are high up or out of the way, so why not relax and let a professional give your windows the best clean they’ve ever had? We offer a vast range of window cleaning services, accessed through elevated and platform work, abseiling, high ladders and water fed poles, so when it comes to boosting the appearance of your property, no job is inaccessible! Clear View Window Cleaning services both residential and commercial properties – if your property has windows, we can clean them! From units, town houses or country estates to resorts, show rooms and nursing homes our friendly and reliable staff service South Sydney to the Northern Beaches. We guarantee all our work undertaken by our professional and friendly staff and have complete police and working with children checks, personal accident insurance and public liability so you don’t need to worry about a thing. 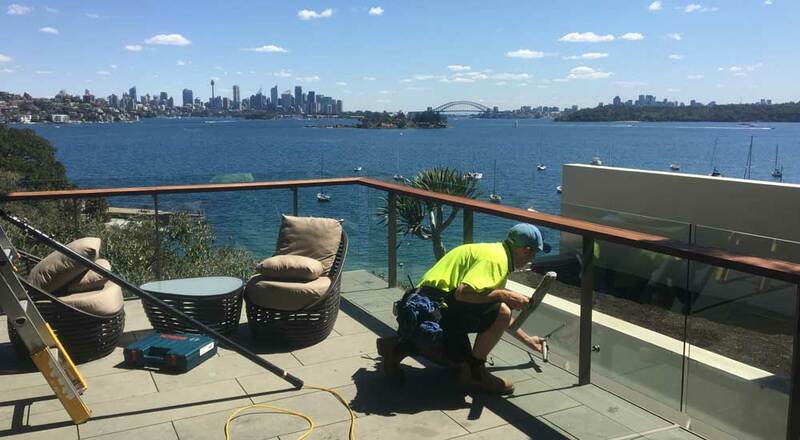 Residential Window cleaning in Sydney is one of the easiest ways to make your home brighter, allowing natural light to enter your home. We clean all drips and water left on the inside of your window frames and remove all hard to reach cob-webs on external window frames, leaving your glass streak and spot free. We will not leave your home until you are one-hundred per cent happy with our work. Do you have a cleaning job that is particularly tricky or hard to reach? Clear View Window Cleaning are the difficult access specialists! Utilising different methods, from traditional window cleaning to water fed pole, scissor or boom lift cleaning we can reach those spots that no one else can. 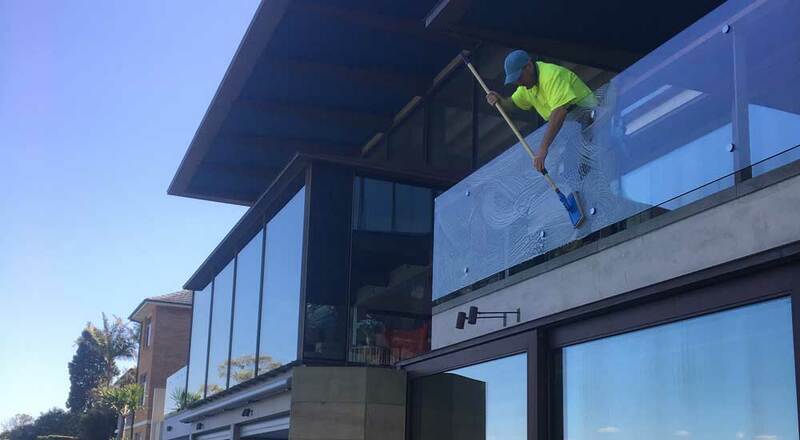 Our Sydney window cleaner’s provide Commercial Window Cleaning, from shop fronts though to warehouses, hotel window cleaning and full external apartment blocks. For all high apartment blocks we use a purified streak free water system giving us access up to four-and-a-half stories from the safety of the ground. We wash down all external frames and ledges, removing cob-webs, grit and grime. For higher than four stories, we bring in lifting equipment so we can get to those hard-to-reach places with no hassle at all. Cleaning your windows is the fastest and easiest way to add value to your property and will prevent hard water stains from harming your glass. Hard water stains are a high mineral that run from your bricks, limestone or render causing stains on your glass.